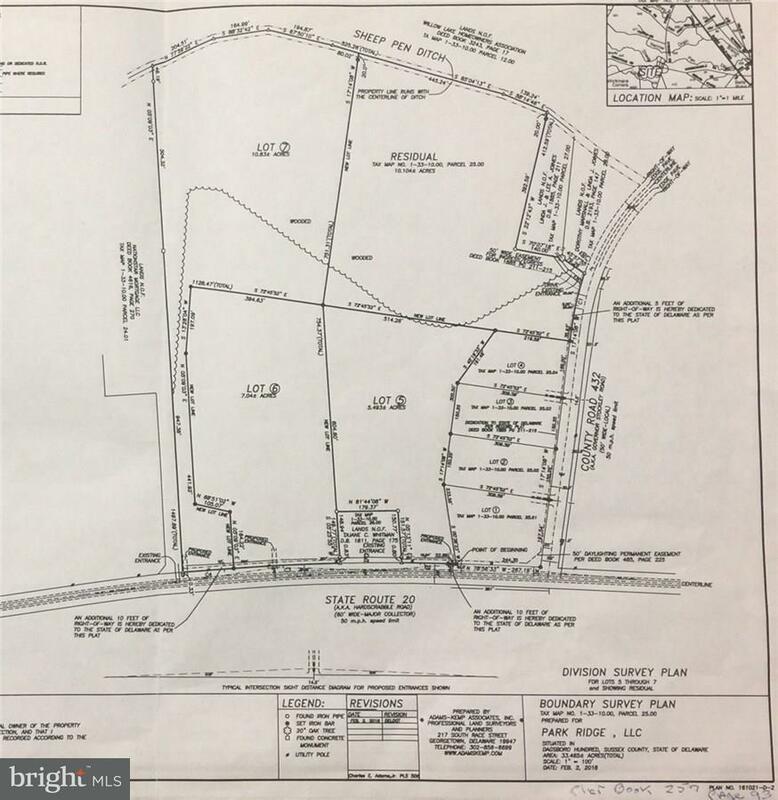 5.49 acre cleared lot 3 miles from Millsboro. No builder tie in. Restrictions do apply and are attached. Soil recon indicates site eval will be for a standard gravity septic. Minimum 1400 sq. ft. for one story, minimum 1800 for two story. Stick Built or Modular as long as they meet the restrictions.